Internet service is perhaps the most dependable form of service that ever came into being when it comes to effective communication. The internet service has improved lot over the years. The internet really serves helpful in a lot many ways. With the help of the internet one can pay phone and electricity bills right from the comfort of the house. The internet helps in a lot of other ways too. Students can get any information they want from their house. It can be said that the internet is the lifeline of modern communication. However, with the present tumultuous condition of the world economy, people are constantly trying to restrict themselves financially. They are setting up a strict budget to curtail unwanted expenditure. An efficient internet serviceis a good option to save money while staying connected. An internet is something is something, from which one can hardly stay aloof. It provides a holistic dimension to communication. There are several such internet connections which are fast and serves useful but along with the usefulness they come with a hefty price tag. It is therefore not possible for everyone to afford such pricey connections. One should therefore do some research before going for an internet connections. The primary thing that needs to be kept in mind is the purpose. As we know that the internet can be used to do a wide range of things. One can download files and other necessary items whereas on the contrary another may use it just to read and send emails. If the internet is used mainly for checking emails and stuffs like that, a dial up connection is apt for that. This connection is perhaps the cheapest way of staying connected. The dial up mode of connection is very popular in the suburbs and rural areas. It requires a landline telephone connection. This form of connection is advantageous in saving money. Besides being inexpensive it is also very easy to get a dial up access. One can easily get connected to the internet wherever they find a telephone connection and a jack. Nevertheless there is also a disadvantage that looms large with this type of an internet connection and that is with the speed. A maximum speed of 56kbps bandwidth is supported by a V.90 modem and on the contrary a speed of 128 kbps is supported by an ISDN (integrated services digital network). 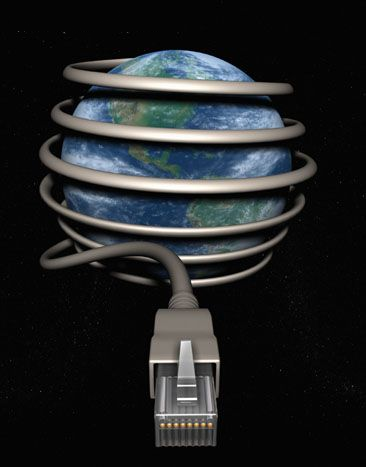 A broadband is another type of internet connection that is very popular in today’s world. The main reason of their popularity is their speed. Unlike a dial up connection these provide a good speed which is very helpful in downloading files from the internet or streaming online music or videos. These are popular in the urban areas. These connections are set up with the help of a modem which stands for modulator demodulator. There are also some other ways of accessing the internet but one should choose the best internet service provider. Before going for a particular plan one should discreetly compare the various plans that are on offer by the service providers. Author bio – Jimy Jones possesses a fair idea about the internet. He shares his valuable knowledge that would help to choose a good internet service. For further information on this visit the website internetserviceproviders.